B.Sc Nursing is a bachelor degree program offered at the university level. The undergraduate nursing program is broad-based education within an academic framework as envisaged in national health policy 2002. 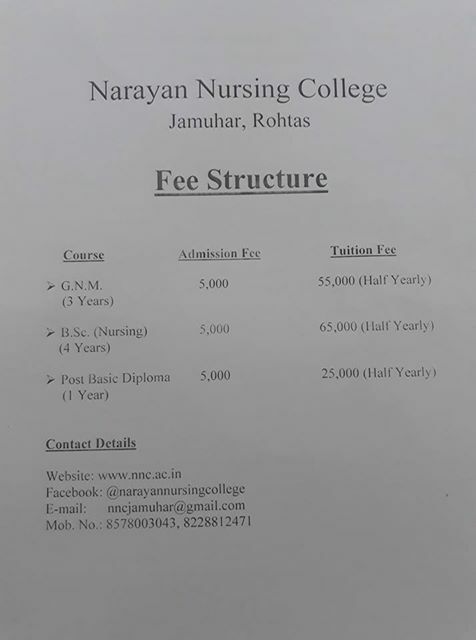 B.Sc Nursing at Narayan Nursing College is approved by Indian Nursing Council and affiliated to Aryabhatta Knowledge University. The aim of this program is to prepare graduates to assume responsibilities as professional, competent nurses and midwives in providing promotive, preventive, curative and rehabilitative services, who can make independent decisions in nursing situations, protect the rights of individuals in pursuit of health. The students may function in the hospital, community – nursing services and conduct research studies in the areas of Nursing Practice. They are also expected to assume the role of teacher, supervisor and manager in a clinical/public health setting. 10+2 class passed with Science (PCB) & English Core/English Elective with aggregate of 50% marks from recognized board under AISSCE/CBSE/ICSE/SSCE/HSCE or other equivalent Board. Students appearing in 10+2 examination in Science conducted by National Institute of Open School with 50% marks.